L.A. weather (at least in April) was just perfect. Not too warm, not too cold, not too windy but still gracing us with a fresh breeze that made staying out in direct sun very bearable. 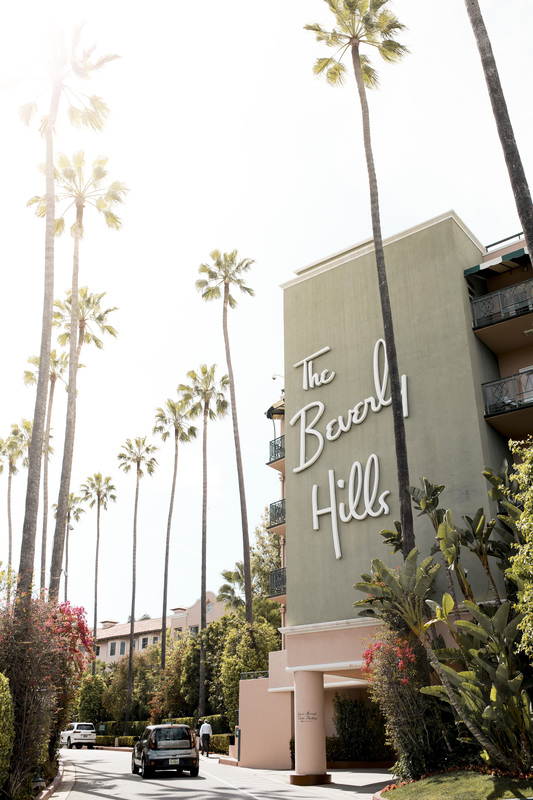 On that perfectly tempered day we went to Beverly Hills, to have lunch at the iconic Beverly Hills hotel. The food was really nice (lots of healthy/vegetarian options and the portions were huge), and the atmosphere was charmingly old school. I’d definitely recommend going there for lunch (or brunch) if you wanna get a glimpse of this iconic landmark without spending hundreds of dollars on a room for the night. Other than that, Beverly Hills is a really cool area to stroll in – the streets are quite empty (I feel like no one ever walks in L.A) but it definitely makes it the perfect place for a quiet stroll in the streets. Plus if you like architecture / getting inspired for a home makeover / looking enviously at big, beautiful houses well it’s the place for you!